An open letter to Those Fathers Who Has Teenager Kid At home? Have you felt the same way at your teens? In my adolescent years, I used all tricks so that my father didn’t get to know that his little boy tested Charminar cigarette or got poor marks in Sanskrit or trying to get too close with a girl in the building. But, for me, my father’s word used to be final saying like a verdict by the chief justice of India. I realised the profoundness of Mark Twain’s statement on a chilly December evening after altercations with my sons. We were waiting for our son who will be returning home after three months from his college. He was late. We all joined in dinner and started some small talks. My wife briefed him about our travel plan to Goa in minute details the way she always used to explain him earlier like where we stay, where we will go etc..
After a while, my son asked rolling his eyes why we didn’t inform him earlier. He had a plan to go to a college in Trivandam for a coding competition along with couple of his classmates. He passionately argued why he should go for the competition rather than joining us for a trip to Goa. We had a bad argument. His mother cried, and I started screaming and blaming him. I couldn’t accept that our son is not considering our wishes albeit this is the first time he did. My son stormed out of the apartment in the night. His mother was upset and started blaming me for all these occurrences. The evening for which we were waiting for weeks became a disaster. After an hour, my wife went to search for our son. I threatened her that I will not go to allow my son to step into MY apartment. I was enraged. I believed my son has no right to say “NO” to my plan. I went to bed. I thought I do not need both of them in my life. They just don’t care about my feelings. More than one hour passed. I might doze off. Suddenly I got alerted with the knocking on the door. Reluctantly I went to open the door. I again decided I need to teach them a lesson for their audacity. My wife was alone. Her eyes were red and swollen. She was looking completely exhausted. She entered the room slowly and somehow managed to throw her body on the sofa. I looked at her and the unfinished food on the dinner table. I looked at the mutton curry, the favorite dish of my son which he didn’t get a chance to taste even. All on a sudden my anger disappeared. I started worrying about my dear son in that night. An all pervading dark fear came into my mind. It is almost 2 hours he left home wearing just a pajama and T shirt in the winter night. I was scared to ask anything to my wife. My wife slowly said she couldn’t find him anywhere. We should contact police. She broke down in tears. I felt my knees were trembling. I remembered the day he was born. All those fond memories came to me as a flashback movie. I suddenly remembered how he loved to play “police and thief” game with me, and he used to jump on my lap as soon as I returned home from the office. I hurriedly came down with my car keys. I drove around one kilometre and looking around both the sides of Palm Beach road with a hope to locate him. “Dad!” I heard him. I found he was sitting at the edge of the road. I rushed to hug him. I felt the pain in his voice. I looked at him. His eyes were red. I could see the dry tear drops at the corner of his eyes. He sat in the back seat of the car, and we drove back home. My wife hugged her son tightly and burst into a tear. He said “Am sorry ma. Forgive me.” and slowly entered his room. I felt tired. I sat on a chair on the patio to unwind myself looking at lights of the steamers at far in the sea. I rewind all the events of last few hours in my mind. I was disturbed because my son didn’t listen to me. After all, he is my only child, and I only think about his benevolence. I was surprised to see his rudeness and anger. I started justifying my act. I needed to be strict to control a teenage son. Isn’t this an age old advice for parenting? Suddenly, I found that I started analysing the whole incidence from my son’s point of view. I went into the room and picked up the details of the competitive examination. I was shocked to find that this is an international competition and sponsored by top companies like IBM, Google, Microsoft, and SAP. There was an opportunity to get sponsorship for short term courses in some reputed college in USA and Europe. My thought process got a jolt. After some time, I felt very disturbed and tiptoed to my son’s room to check whether he is sleeping or just lying in bed. To my surprise, I found he was awake and watching motivational speeches video clip by Wills Smith in YouTube. “Let’s go to the kitchen and have the sweets which your mother prepared this afternoon for us.” - I replied slowly. He went to call his mother. We had a very late dinner or very early morning breakfast. His questions were so poignant that it strummed few chords inside my heart. We agreed that he should go for the competition and cancelled our trip. Years passed. My son forgot the incidence. He is busy in his studies and work. Thank God! we never had similar issue after that. Read the rest of the article to know what you should do to avoid being a toxic parent. Times changed. There’s a generation gap. We need to adopt ourselves to make us understandable to our kids. 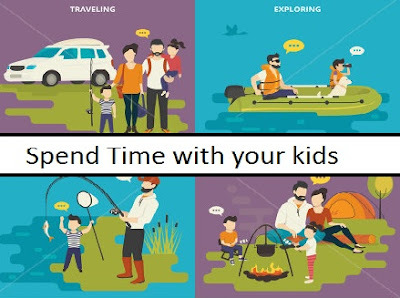 You need to give time to your kids. Engage in fun activities with them. Just because they are growing, doesn’t mean they are not still children. Some of your best memories are probably playing outside with your child, going to the mountains, the park, or to do some fun activities. Take a day and sneak away to the theme park, go for a hike, book a hotel and get away, just for the fun of it! Be a kid with your kid. Remind them of your pleasure in their company. We all get busy, as do I, but making the time for these little memories is not time-consuming, but life changing. You need to accept that your children are a separate person with his desires. You should avoid giving them your "little wisdom" always. You have to give plenty of space so that your kids can fly to strengthen their wings and apply the knowledge they acquired in life. You need to have empathy to consider what teens’ lives are like in digital age with pervasive technology, where every good and a bad day has the potential to be broadcast to hundreds and thousands and bullying no longer confined to the schoolyard. You need to educate them on possible risks and how to manage those issues in real life. The empathetic experience allows you to connect with others by pushing your mind into a new realm and enabling you to see the world and ourselves in a different way. Digital empathy is the key to build a strong bond with your kids. Always keep the communication channel open with your kids. While communicate and talk to address disputes you can teach your children problem-solving skill. Adults who are willing to walk around in their teenagers’ mental shoes tend to raise teenagers who return the favor. Need to aware of your anger and direct the same in a constructive way. You as a parent need to express your emotions without damaging teenager's (often fragile) self-esteem. You might say: "When you speak to me like that it makes me so angry I find it impossible to be helpful. I expect you to rephrase that." instead of saying "You are so rude. When will you ever learn? ... And you think I'm going to help you now?". Learn to use power words. Feelings are never right or wrong. Only actions need to be limited. Feelings should always be accepted. As a parent, you need to be a perfect listener and acknowledge your kids' feelings. Here is an odd one but a serious issue. Teenage boys often sleep long hours even in the day time. Please note they are capable of sleeping 16 hours a day, and it has nothing to do with ambition or the lack thereof. It just a biological need for them. The National Sleep Foundation suggests that teenagers need more sleep (8-10 hours) than adults (7-9 hours). Teenagers often feel sleepy in late night. You should get super, super interested in what your children are interested. Teach your teen on how to deal with toxic and difficult people. Teach your kids to be satisfied rather than successful. Competition is steep, and there will always be someone who is further along. That’s the beauty of human potential. You can consult an NLP practitioner to create an anchor, link, and association. I am adding this as an extreme measure as I witnessed the benefit of the same to manage a teenage daughter of my colleague who has a habit of partying late night and drinking. Being teenagers are hard as their brains are going through massive changes. So, follow Elaine M. Ward’s saying “the rules for parents are but three… love, limit, and let them be.” There is no such thing as a perfect parent so just be a real parent. How terror attack survivors taught me the secret to overcoming stress? Our generation is impacted heavily by workplace by stress. I was one of the worst sufferers of this pervasive, persistent and insidious psychological threat for years. I consulted neurologists, psychiatrist, nutritionist and personal fitness trainer in addition to countless hours of searching for find the magic solution for improving my condition. • Started circuit training and running in the early morning to increase my endorphin level naturally. • Changed my diet pattern. I added dark leafy greens, nuts to increase intake of Magnesium, include eggs for breakfast, milk before sleep along with multivitamin capsules. • I tried all these options along with taking daily prescribed medicine- Pexceps. But, my life was not exemplified by abundance, happiness, and joy. The problem became acute once I moved to Kenya in 2012. Workload and continuous traveling in African countries took a further toll on my emotional health. My existence became crippled. I became heavy smoker and alcoholic.It went to such extent that I started contemplating to quit the job.Some of friends told me that I am suffering from mid life crisis and time is the best healer. One evening I tuned to the local English Channel to know more about the terrorist attack in Lamu, Kenya by Al-Shabaab. TV journalist was interviewing a young girl and her grandmother who not only survived the brutal attack but also walked whole night through the forest to reach a safe place. I switched off the TV, came to the balcony and started thinking about the news. Words like “don’t think”, “acceptance”, “thanks to Jesus” started reverberating in my mind. I was amazed by the power of these words which helped these two ladies to overcome all challenges including fear of death in that night. I started walking up and down on the patio and started thinking how I can master strength to overcome the depressing and negative thoughts. I used to build confidence and courage by strengthening positive thoughts. Once I started accepting my situations and surroundings, my circumstances improved. It took me almost two years to transform myself. Doctors reduced the dosages of my medicines. My blood pressure became normal and started sleeping well without any medicine. The clue for my transformation was forming new habits. I realized whenever I blame my luck it’s nothing but my unfulfilled wish or expectation mismatch. I came to Africa for exciting and challenging work. And, personally, I wanted to experience wild Africa. It was my decision. I started owning my decision instead of blaming others. Once I gave permission to myself to be stressed, the rush of Adrenaline improved my efficiency level. The key here is to remember life is a marathon, not a sprint. It took me six months to have the paradigm shift of my mind. You can refer to the Theory of Positive Disintegration (TPD) by Kazimierz Dąbrowski to understand more about personality development which I often consulted during my transition. I inspired by Robin Sharma’s “holy hour” concept. I start my day with a cold shower after getting up early morning. Next, I use visualization technique to make my day a perfect day in my mind. I identify possible stressors of the day and visualize how I manage those stressful situations. Next, I identify my top 3 tasks for that day. I visualize all the activities for that day and see the proper closure of each activity. Following these principles of laws of attraction, I found my daily life become less chaotic. I complete these rituals everyday morning because the consistency on fundamentals gives success. This process helped me to find a new mantra of a happy life - celebrate now! Tomorrow is Mystery and Yesterday are Histories”. Rising demands at office required longer working hours in a very competitive environment. It took a toll on my emotional health. I fought and complained the same but didn’t help. I finally decided just to come and do the work the best I can do. I started to focus only things which give positive feelings. I started accepting what is required to concentrate on resolving the current job at hand. I taught myself to take the harsh words of my seniors and clients not literally. After few months, I found that this habit of the conscious practice of understanding and empathy improved my relationships with co-workers, and I am much less stressed. Over time, I learned to focus only good things at work and started sharing good events of life among ourselves. All these practices resulted in a more expansive mind which is not narrowly focused on its little story of how things should be, but can see those small incidences as a part of a bigger picture. I recommend you to have a feeling of the attitude of gratitude. You should feel everybody important with a genuine smile, show warmth by gentle tap above the elbow and direct eye contact for 100% attention the person. And always be an optimist. I influenced by Henry David Thoreau statement “Our life is frittered away by detail. Simplify, simplify.” I create a motive to remove all unnecessary things from my life so that necessary can enter my work and I can give full attention to those small details of necessary things. I make a habit of cleaning my desk, drawers of the table. I started keeping minimum necessary things. I deleted the useless contents from my computer also. I removed all digital garbage from the hard disk. Now, I clean my work space once a week and often decorate my office room with the personal touch. The information is the biggest clutter in today’s life. I put a block on information flow which reduces chattering of my mind, and also it increased my personal productivity. This one was difficult for me. Any change used to trigger panic button within me. After several months self-introduction, I started accepting changes proactively. I used to remind myself that the change is the architect of future. I recommend you to evaluate your coping strategy for any change. You should eliminate the idea of avoidance of any change. I followed Richard Lazarus and Susan Folkman’s approach as documented in "Transactional Model of Stress and Coping". Whenever you feel an internal resistance in accepting a change, go for a small walk, and play with some apps on the smartphone to divert your mind. I used to feel uncomfortable in meeting and social gatherings. I consulted life coach Dolly Manghat on how should I be more assertive in social groups and meeting. After few sessions, she advised me to try to become more influential rather that get mired in tactics. I took few lessons on how to have small talks, be a good listener and use nonverbal body languages from her to improve personal effectiveness. Almost after one-year active practice, I became more socially active and assertive in my behavior. My individual and professional contacts increased many times. My confidence grew, and I worked in a more relaxed way. In summary, stress is a response to challenges in life. A life without challenges is too tedious to contemplate. You need to learn to use stress as your friend. It can’t be accomplished overnight — I’ve been eliminating stressors in my life for a while now, and I’m still not done. But I think it’s a worthwhile goal. These habits helped me to have a happy life. I have more fun in life as I always try to be happy at that particular moment and space. We live in two dimensions i.e. mind and body. We need to start living in three dimension where the third dimension is our intelligence. Using knowledge without ego is the key to having a Zen-like life in today’s life. There is a direct push by PM Mr. Modi on digital India. It's indeed an encouraging for us Indians. But, will they consult real hands on technical people. I hope it will not be another story of big dream only. 1. Digital India requires real enterprise architects who will do the skillful manipulation of the enterprise structure and behavior within this complex environment. 2. A big push requires Big Data filed and for all government departments. Truthful data provide EA with the pulse of the enterprise and its environment. 3. Government should focus on continuous business transformation supported by Agile program management. 4. Need to grasp ( cautiously ) the deeply transformative nature of the Cloud which is a true disruptive technology. Several technocrats can start their small but highly profitable business on cloud platforms. Today, average person sits 70% of the time and this is as bad as smoking. Sitting for long term is bad for your health. I found this shirt brings my neck into a better position so it relieves neck back and shoulder pain. Why Failures are Good For You? Ups & down are the paths of life. I too experience a fair share of that. I know the feeling of failure is how devastating. Over the years, I learned why it is called failures are failures of success. You went for it instead of just sitting around envying others or having a pity party. You proved that you have characteristic traits like courage, determination, patience, willingness, initiative and a bunch more. You made yourself vulnerable, which later will make you powerful. Just watch! You completed something – because you can’t fail until you get to a certain point where you determine if you have won or lost. So you have completed something but the results were not in your favor. Still, you get points for completion. You decided that it was worth trying something and failing instead of not trying at all. This is huge. how to select cloud computing vendor? All views & opinions are my personal. I might use names of some companies for the sake of reference only. This is my personal blog to share my idea and views to the world. I might earn some money if you buy anything clicking some links on my site. I donate all these money to an old age homes in Pune.